What is a Monochromatic Colour Scheme? Monochromatic colour schemes in interior design use a single base colour for the room, but incorporate different shades, tints and tones of the main hue within the room’s palette. This creates a very bold, dramatic look whilst still being quite soft and elegant to the eye. It’s easy to create a sense of harmony and balance in the room when you’re using a monochromatic colour palette in interior design. When using monochromastic interior design, it’s important to make sure sure that the colour doesn’t totally overwhelm the room. You can use areas of white and black as blank space or white space to break up the monochromatic colours and give your eyes areas to rest. The use of white and black can also pump a bit more energy into your monochromatic colours, adding a bit more life into the room. Extending the base hue using tints, tone and shades can also create the illusion of space if done effectively, so is perfect for smaller rooms that you want to make more “airy”. You can use different colours values to soften the edges of components within the room. Throwing in a pattern here and there to accent will add a bit more visual interest. This can be done through throw cushions, a rug, or accent furniture. 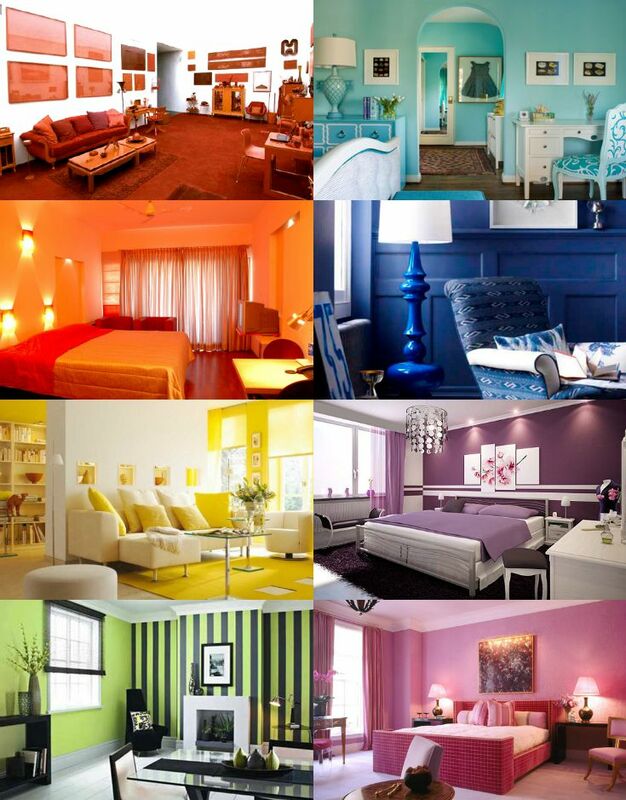 Using different textures in your decor will help to break the flat look which using monochromatic colours can do. For instance, if you want your throw cushions to be the same (or similar) colour to your sofa but still want them to stand out a bit, using a different texture will help to define them a bit since the light will hit the cushions differently to the rest of the sofa. The subtlety of the patterns or textures will depend on how neutral the colours are within the room. By limiting your colour palette in this way, you may even open yourself up to new and creative ways of using colours in your home. Instead of focusing on colour-matching and colour contrasts, you can focus your creativity into your furniture, your walls and the fun little details that give your home its unique personality. It removes the confusion and “colour chaos” that can come through too much choice in colour. If you apply a monochromatic colour scheme to your entire home, you can create harmonious transitions from one room to another that doesn’t visually confuse when you’re walking from room to room. Monochrome is seen as one of the simplest home colour schemes to get right, so they are a popular choice with first time designers. You can make a big statement with just one colour.